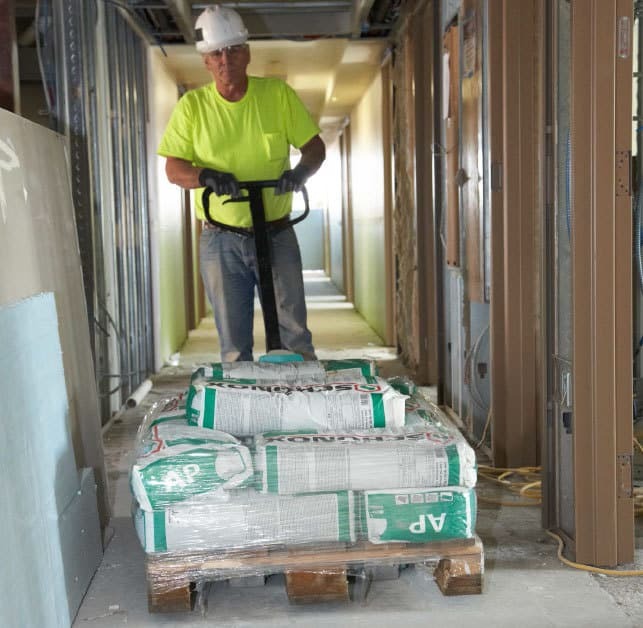 Much of the renovation space in the residence halls was originally covered with adhesive and tiles containing asbestos. 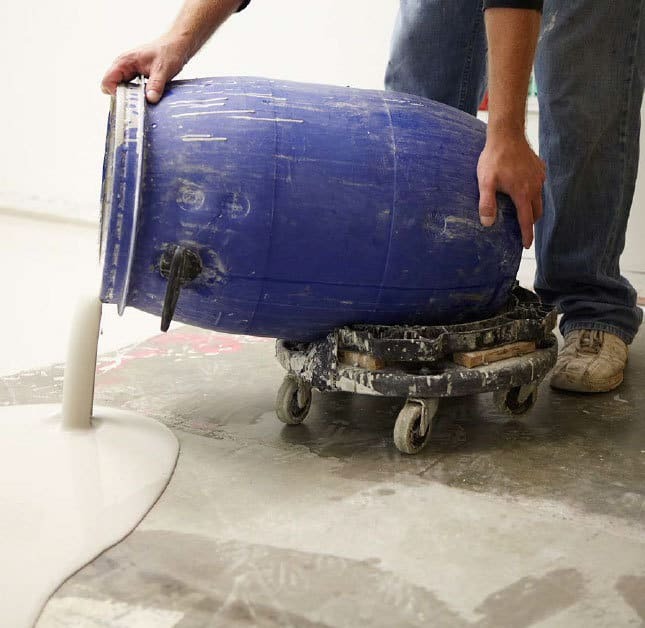 Those materials had been removed with chemical remediation, an effective process, but one that leads to a situation where tile and adhesive manufacturers will not warrant the installation of their products over the remediated surface. 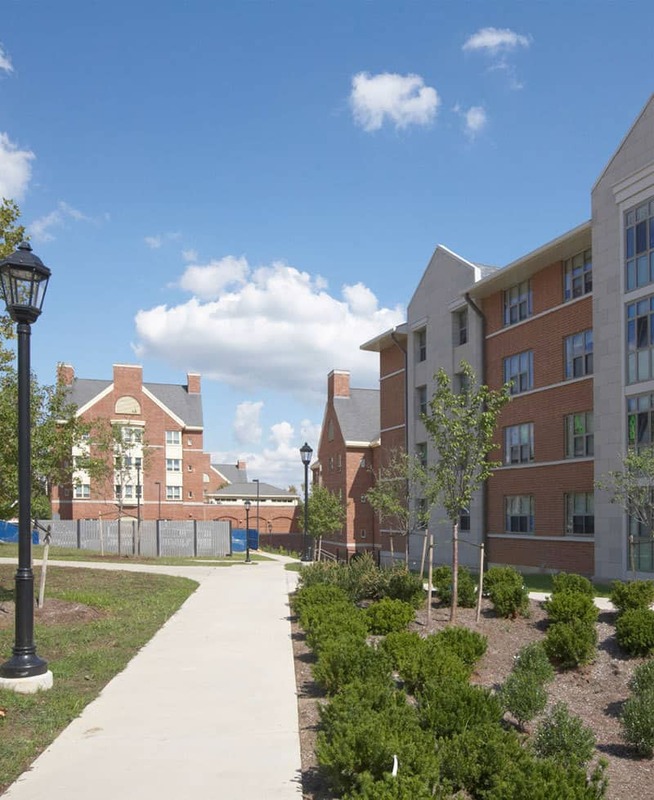 Nittany Building Specialties worked closely with Spartan Surfaces to specify a series of Schönox products that would address the effects of the remediation process, allow the tile and adhesive manufacturers to warrant the installation, and address a number of other subfloor challenges. 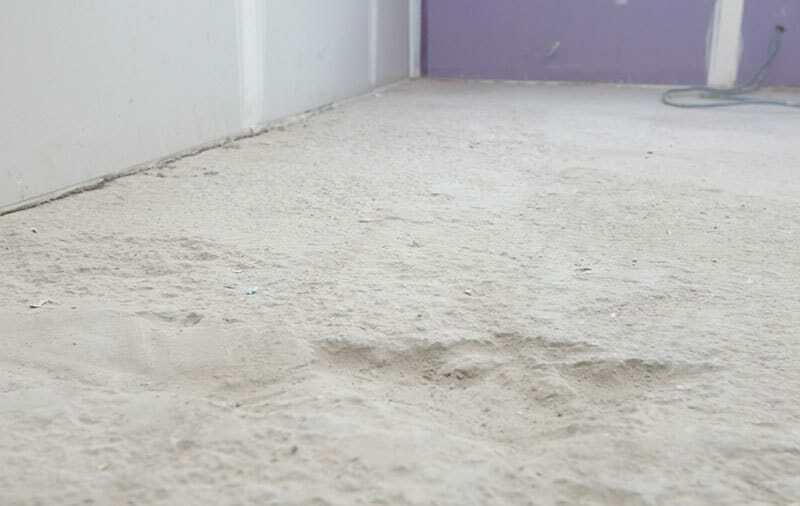 Having undergone an asbestos abatement process, the substrate had residual chemicals within it leading to warranty issues with the proposed new flooring installation. In addition, the concrete subfloor was uneven with pits, valleys, and high spots throughout the space. A series of Schönox products were specified that would address all of the substrate challenges. Schönox EPA, two-component epoxy based moisture mitigation system, provided the solution for covering the chemically abated substrate. Schönox EPA was applied with rollers directly to the concrete substrate. Contractors inspect the dry substrate now covered by Schönox EPA. The chemical abatement contaminates are now sealed below. Schönox SHP, special acrylic primer, is applied with a roller on top of the Schönox EPA providing a surface that will bond well with the self-leveling compound to be used next. Schönox SHP contains no VOCs and dries in 1 to 2 hours. 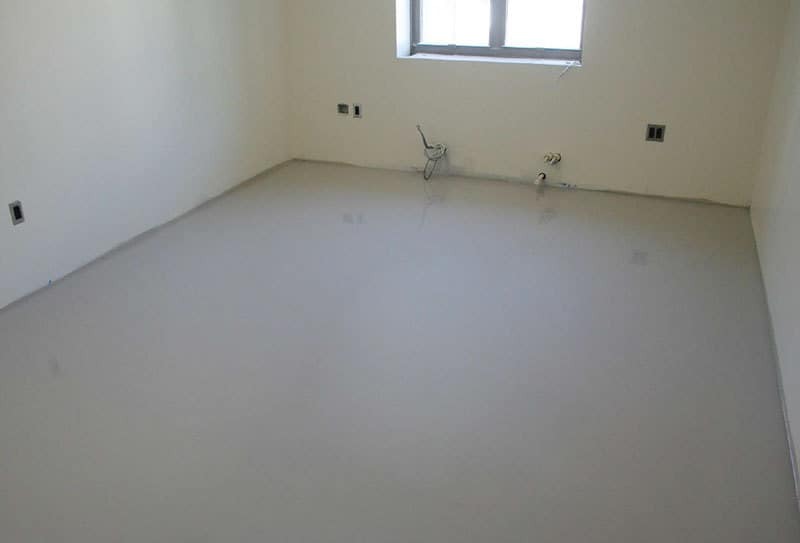 Schönox AP, synthetic gypsum self-leveing compound, was poured throughout the space providing a smooth surface with a compressive strength of 5400psi. Free of chromates and VOCs, Schönox AP contributes to LEED credits. Special dust-reduced properties within Schönox AP keep dust to a minimal level. Created using a byproduct of the process used to purify power plant emissions, AP is a strong environmental choice as well as a superior leveling compound. Schönox AP was designed with refurbishment projects in mind allowing subfloors to be covered and renovated rather than demolished with other costly processes. Schönox AP does not shrink or crack. The renovated subfloor will be ready for flooring installation in 24 to 48 hours. The tile and adhesive manufacturer fully warranted the new installation after the subfloor process was completed with Schönox products. Share this story from HPS Schönox!